Buildings have always fascinated mankind. Want to know who all are in the race? Read on! Buildings have always fascinated mankind. Men have always challenged themselves to create something taller and better than their predecessors. We know the Burj Khalifa is the tallest structure in the world, but it will soon lose its position of prestige to another construction. Want to know who all are in the race? Read on! The building, when completed, will be the tallest building of the world. The purpose of this for corporate offices, hotels, residential apartments, observation, and retail. 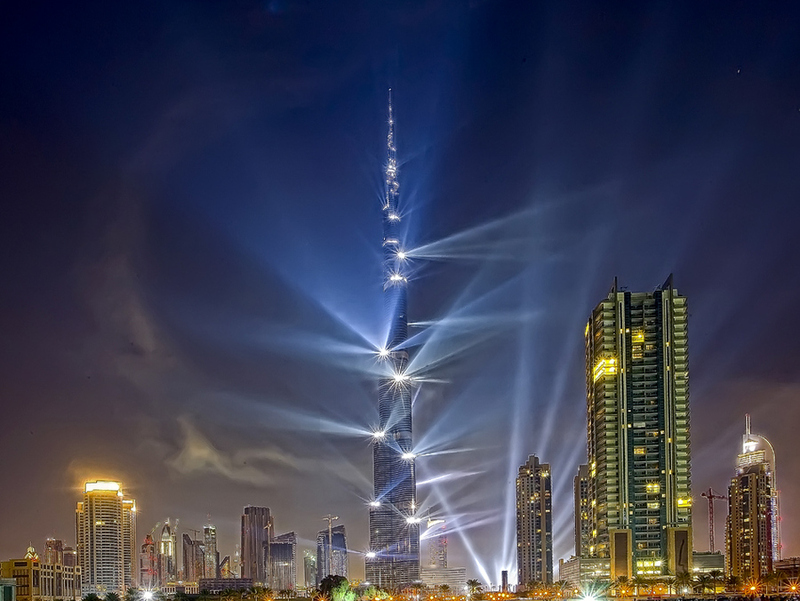 Built by the same builders as Burj Khalifa, the building will be made with an estimated cost of $4.6 billion. The creator of this building is Saudi Arabian Prince Al-Waleed bin Talal, the wealthiest man in the Middle East. While the construction was started way back, Burj Khalifa is currently the tallest building of the world. The building is known as the tallest tower of the world and is again used for many purposes. It is built in the honor of Khalifa bin Zayed Al Nahyan, who was the ruler of Abu Dhabi. The building is surrounded by parks and lakes and has won many records for being the tallest of all and was made at an expense of $1.8 billion. The building will be used for shopping complexes, office buildings, housing properties and hotels. The estimated value of the building is $5 billion. The building will consist of 100 storeys of rentable space, including 80 storeys of office space, 12 storeys of hotel rooms, 5 storeys of hotel residences and a retail business center. While the people critiqued it to be a waste of funds, the president has argued otherwise, and the construction is now underway. If the building will be completed by 2018, it will be the tallest building in China and will be used for housing hotels, residential spaces and offices. The estimated cost of the building is said to be $4.5 billion and the other name for the building is Greenland Center WGC. The building is currently the tallest building in China and was made at $2.4 billion. The building is used for communications, observatory, mechanical use, boutique offices, hotels, office, retail and parking. The building’s heating and cooling systems use geothermal energy. The building has a four faced clock, the clock faces being the largest in the world. It consists of malls, hotels, retail shops and restaurants. At the cost of $15 billion, it is the tallest building in Saudi Arabia and also has a complete royal floor. The estimated value for the completion of building is said to be $678 million and construction was started in 2009. The building is the second tallest skyscraper in China and is used for hotels, retail spaces and offices. The original plan was to add an 60 meter antenna on top of the building making it the tallest building of China, but the plan was cancelled since it would trouble flight paths. The construction was started in the year 2008 and had stopped once, starting again in the year 2011. The building is going to be used for the purpose of hotels, residential and commercial offices. The top of the building will now be diamond-shaped while earlier it was designed as fin-shaped, with the estimated cost of more than $700 million. The construction of the building started in the year 2014, also called Pearl of the North. The building is going to be used for multiple purposes and is one among the tallest buildings of China. The estimated value for the construction of building is said to be more than $1 billion. The building is currently the tallest building in the Organization for Economic Co-operation and Development (OECD). While the estimated value is not known the place is used for private offices, Lotte hotels, residences and parking lots. Located just near the first-generation Lotte World complex, this building required 13 years of planning and finally showed up in 17 March, 2016. Designed by the same person who worked on Burj Khalifa, the previous twin towers of WTC suffered a terrorist attack and were destroyed completely. The construction was again started. Earlier the cost of building was $3 billion but after the attack, another $1.9 billion were spent. It is used for offices, observation and communication. The building has many names like Freedom Tower, 1 World Trade Center and 1 WTC and is the tallest building in the western hemisphere. The construction of the building, also known as East tower, Guangzhou Twin tower 2 and The CTF Guangzhou Chow Tai Fook centre, started in 2010 and completed recently in 2016. The building is used for conference halls, malls and office building. The estimated value of the building is said to be more than $5 billion and is the second of the two Guangzhou Twin Towers. The construction of the building started in 2011. It is also known as China Zun, where Zun is an ancient Chinese vessel, the inspiration for the building’s design. After the completion of the building, it will be the second tallest in northern China and will surpass the World Trade Center building. The estimate value is said to be more than $4 billion and will be used for multiple purposes. The building will be used for various purposes like hotels and restaurants, offices, residences and retail. The building will actually be a centerpiece of the Dubai Meydan City and will also be counted as one of the tallest skyscrapers in Dubai. The estimated value is said to be more than $5 billion. If the building is completed by 2018, then it will be the tallest building in China surpassing Shanghai Tower. The design has been made keeping in mind many energy saving factors and estimated cost is said to be $4.5 billion. It will be used for office, hotel and residential purposes. This was the tallest building in the world before Burj Khalifa and has won many awards such as the Greenest Building award. The building can also withstand earthquakes and typhoons and the cost for construction came to be $1.934 billion. It is still the world’s highest green building in use and has exactly 101 floors, as the name suggests.